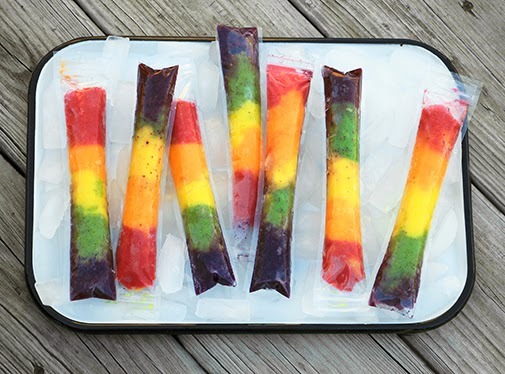 What's not to love about this colorful & creative combination? 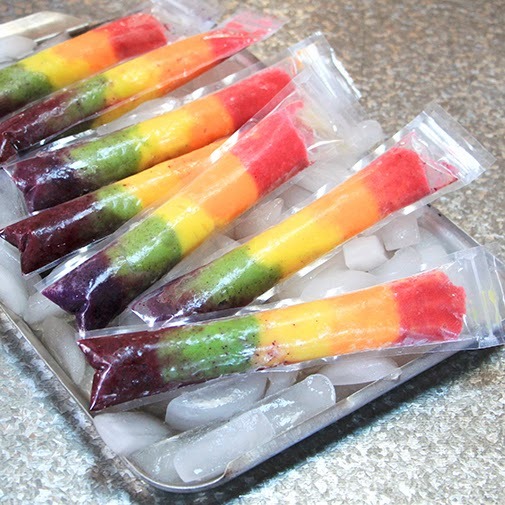 They're made with fresh fruit, yogurt & almond milk, and poured into these super-cool, ice pop freezer bags I found at zipzicles.com. 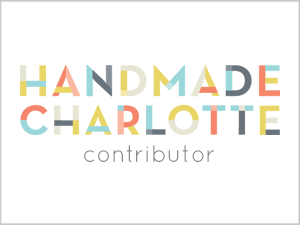 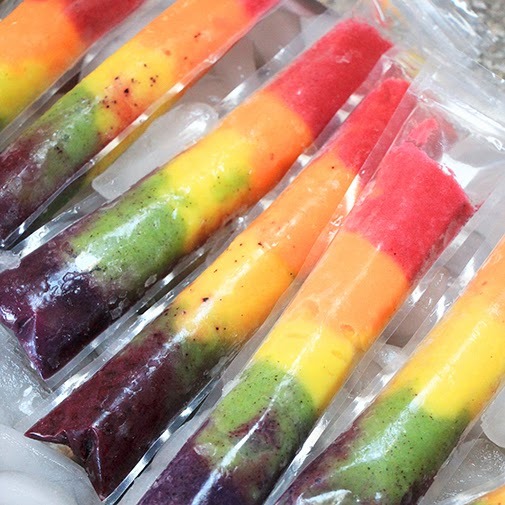 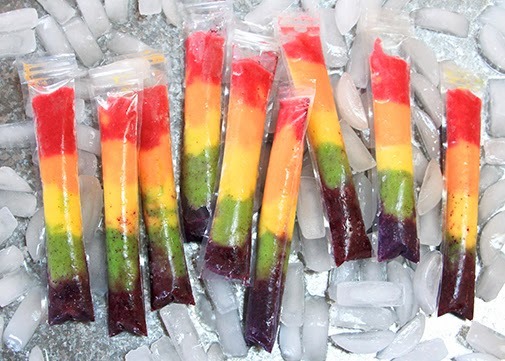 For the step-by-step instructions of how to make your own rainbow smoothie pops, head over to SheKnows.com.